The data movement is slowly but steadily taking root in India. 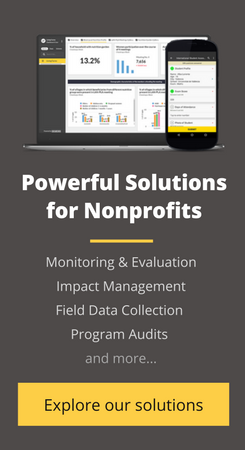 NGOs across the length and breadth of the country are realizing the power of data in improving work efficiency, cutting costs, managing donors, and even predicting the future. During the last year, we’ve met thousands of NGOs and social enterprises. While many of them were averse to the idea of data-driven decisions, we were pleasantly surprised by several who were already putting data to effective use. We’ve highlighted those organizations here and how they are using data to measure and increase their impact. Established in 2007, Educate Girls has impacted more than 240,000 girl children in Rajasthan using its model of community-level empowerment to get and retain girl children in school. From its earliest days, Educate Girls has been powering its field workers with mobile-based tools to regularly collect and monitor data for each child and school. Every child is tracked on a regular basis with respect to attendance, learning outcomes, and more. This has not only helped Educate Girls focus their energy in the right areas, but it has also helped them grow faster than many other organizations in the education space. Akshaya Patra has been feeding midday meals to about 2 million children in ten Indian states. One of the foundation’s biggest expenses is transporting food from its kitchen to different schools. By using big data analytics, Akshaya Patra has been able to minimize transport costs through efficient route allocation. Akshaya Patra is also using data-driven feedback from children to ensure a high-quality meal every day. Read more about how Akshaya Patra, the world’s largest school lunch program, is managing data. Development Alternatives has been working for close to three decades on pioneering the use of technology to improve lives in rural areas. Through its eco-solutions, Development Alternatives has been working very closely in areas like Faizabad in Uttar Pradesh and Bundelkhand in Madhya Pradesh to encourage sustainable development. Development Alternatives has been using technology to track not just people but also resources in these areas. For example, by continuously keeping track of water level in wells, it is able to predict water levels in future seasons, which empowers local communities to be well prepared for the future. Read more about how Development Alternatives is using data for development. CRY is one of the largest organizations working towards children’s empowerment in India, with a donor base spread across different continents. While data collection is one crucial piece of their work, CRY uses data analytics to streamline its donor-management process. By understanding how donors respond to different modes of communication, CRY has been able to increase their donor retention rate every year. In turn, increased donor retention rates have helped them ensure a deeper impact every year. If there is one sector that has been proactively utilizing ICT tools to collect, monitor, and analyze data, it is health. The Gates Foundation is probably the biggest player in the sector and, needless to say, they have been using data to help them invest in the right areas. For example, one of their tools, Mobile Kunji, was employed in the most backward districts of Bihar to provide critical health information to the citizens in these areas. The data generated through these tools helps the Gates Foundation better allocate its resources and forecast trends. SMS Foundation, previously known as IRRAD, works to improve the facilities and lifestyles of people in the Mewat region of Haryana, large parts of which are reeling from extreme poverty. SMS has a dedicated team working solely on data-driven decisions. Both their program team and research rely heavily on data to understand the situation in each household and region before driving change based on the results. In addition, SMS has been moving towards using technology to improve the efficiency of its processes. It recently piloted technology-based data collection. The Swades Foundation focuses on the Raighad district of Maharshtra. From water and sanitation to agriculture and health, Swades works towards improving the lives of millions of people in the district. Swades has heavily relied on data to focus their programs in the right areas. By tracking every individual and household’s livelihood, education, and health, Swades can effectively mobilize resources to create scalable and sustainable impact. Recently, Swades turned towards using technology to power its data management process by providing its field workers with a mobile data collection tool. They also use effective analytical tools to make sense of the data they collect. These are just some of the organizations that we’ve come across in the last year that are using data to drive their decisions. However, many others are also slowly but steadily turning towards data to utilize resources effectively, save time and costs, and increase the efficiency of their operations. As one of our partners put it, “We’ve been dedicatedly working for the last 35 years to empower women. But it was only after we started tracking the progress of each individual over a long period of time that we could understand the impact of what we’re doing”. Collecting good quality data is the first step towards data-driven decision making, and collecting data in the field is always easier with a mobile app. We’ve helped over 150 partners collect over 20 million data points through our mobile data collection app Collect. Want to know more about collecting high-quality data? We’ve compiled our learnings on how to build a stellar data collection plan in our first ebook. This 30-page guide contains everything you need to know to improve the way you collect data. Download now! Hello Vikas, Very well written post!!! Thanks for sharing this useful information with us about the 7 NGOs that are using data for impact and why you should use it too. Keep updated! This is great. Many development workers are not using data to inform decision making and this affecting results and impact they desire, these examples will help others to overcome the phobia and us data for more impact. I know of any more who use data, only 7 you found? Hey Paul, thanks for leaving a comment. Of course, it’s definitely true that there are more NGOs that use data. We just chose to highlight these 7 NGOs as great examples.